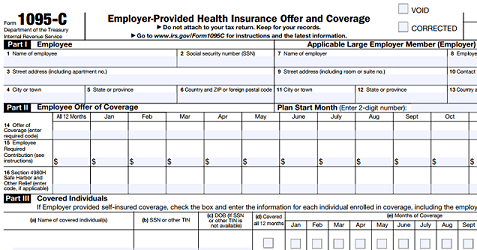 This post is for Applicable Large Employers (ALEs) required to comply with the Affordable Care Act. We hope you find it useful. Despite the current partial government shutdown, ACA compliance is still mandatory for Applicable Large Employers (ALEs). Passport Software’s ACA Software simplifies compliance and employee data management year-round. Our ACA solution provides reports to determine when an offer of coverage will be needed – and if it is considered affordable based on IRS criteria. Our IRS-certified ACA Software provides automated 1094/1095 filing as well as tools to help avoid IRS penalties. With data import that is quick and easy compared to other solutions, our software allows you to rapidly generate every employee ACA record in seconds. For those currently using our software, or for those looking for an affordable solution, our ACA Reporting Services can provide further assistance. We are IRS-approved to file on your behalf via optional proxy submission for our current software users. Or, with ACA Full-Service, we manage your ACA employee data year-round and take care of the reporting, too. With ACA reporting deadlines approaching in the coming months, Passport Software’s ACA Reporting Services can ease the burden of ACA compliance. Our ACA Full-Service option can help simplify reporting and ACA data management throughout the year. With Full-Service ACA, we do it all for you – just provide a spreadsheet with employee data, and we take care of the rest. See how our ACA Reporting Services can help you simplify and comply with ACA compliance. Call 800-969-7900 to learn more. Or Contact Us – We are here to help.